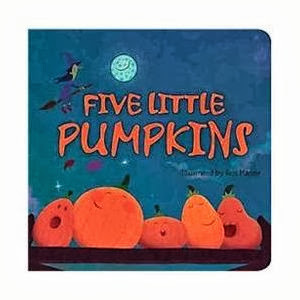 One of our favorite Halloween books around our house is Five Little Pumpkins by Ben Mantle. We read it often, and recite it throughout the day. My little pumpkin who is three has a short attention span when it comes to Mommy and Me craft projects. He is an active boy who wants to go, go, go. He enjoys projects, but they need to be quick, gratifying, and something he can complete with lots of independence. This pumpkin project made it through his checklist. First, he painted his knuckles with orange paint. He used his knuckles to represent the five pumpkins. Then he dipped his fingertips in green and brown paint to make the stem and leaves of the pumpkins. 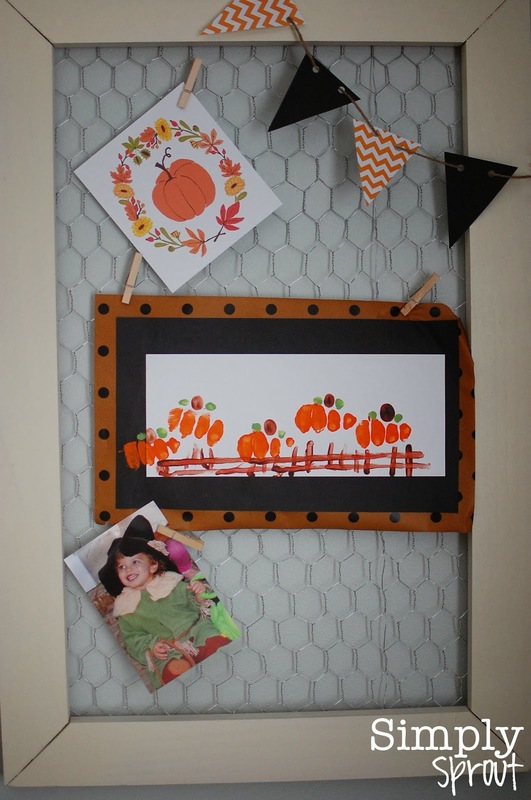 Finally, he made a fence for his pumpkins to perch on by using a Q-Tip to make vertical and horizontal lines.